There are several educational resources that are available at MBARI although we rely heavily on our partner institution (the Monterey Bay Aquarium) for much of our public outreach. Teacher Professional Development opportunities at the Monterey Bay Aquarium are posted. MBARI does have an educator professional development workshop that generally runs in the summer for a week. This program is called Education And Research: Testing Hypotheses (EARTH) and the objective is to get more real data into the classrooms. 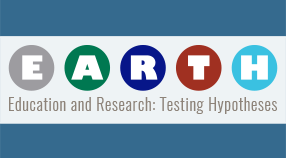 The workshop is open to all educators in the United States and the application process includes a cover letter (stating why you would like to participate and why you should be selected) as well as an evaluation rubric showing how you used and evaluated one of the currently available EARTH activities. You can find these activities and more about the EARTH program. 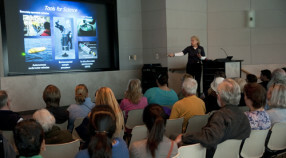 MBARI has a formal seminar program that is open to the public, our seminars are generally on Wednesday mornings from 11 am to noon. You can find more information on the program and upcoming speakers on the seminar blog below. MBARI’s summer internship program started in 1997 and currently runs for ten weeks (June-August) every year. The application process for 2019 (June 10 – August 16) is now closed (Deadline was February 11, 2019 at 1200 hours PST). We accept up to 12 interns each year although some years we do have additional interns with external funding. Visit the link below for more information about the program and the application process. MBARI is also working with the National Science Foundation-funded Southern Ocean Carbon and Climate Observations and Modeling (SOCCOM) to facilitate the adoption of ocean profiling floats by schools interested in working with real data – see link below for more information. MBARI collaborates with a National Science Foundation-funded Center for Microbial Oceanography: Research and Education (C-MORE) and has some science kits available for loan. You do have to arrange pickup and drop-off of these kits, you can find more information (all the lesson plans are posted online) and signup instructions below. The Southern Ocean Carbon and Climate Observations and Modeling (SOCCOM) project is partnering with teachers and classrooms across the country to inspire and educate students about the Southern Ocean biogeochemistry and climate change through a pilot “Adopt-A-Float” initiative. This program creates a powerful opportunity for elementary- and secondary-school-aged students to engage directly with world-class scientists and learn about their research by naming and tracking SOCCOM floats. 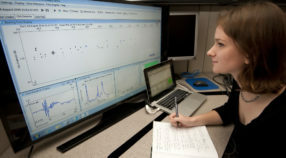 EARTH uses near-real-time data from ocean observatories and other researcher datasets to design and test outreach with the Internet as an interface to scientists, teachers, students, and the public. Workshops are held during the summer and interested educators are asked to trial an existing EARTH activity and complete a rubric as part of the application. EARTH 2018 will be in Newport, Oregon June 24-29. C-MORE science kits offer lesson plans and materials for hands-on science activities in a self-contained format. They are designed for use with a range of grade levels. Each kit provides the information and supplies necessary for educators to teach their students about a particular topic in oceanography. These easy to use kits are a great resource for any classroom. These kits can be borrowed for short periods of time – you are responsible for arranging both pickup and dropoff of the kits. Lewis, A. & Matsumoto, G. (2017) Science Educator Professional Development: Big Data and Inquiry Learning in Optimizing STEM Education with Advanced ICTs and Simulations: Tools and Solutions for Inquiry-Based STEM Learning.” Edited by Ilya Levin & Dina Tsybulsky. IGE Global p.219-244. Kevin Raskoff and G.I. Matsumoto. 2015. Caveat lector: the perils of critical thinking for today’s students. California Classroom Science. 27(6). http://www.classroomscience.org/caveat-lector-the-perils-of-critical-thinking-for-todays-students.